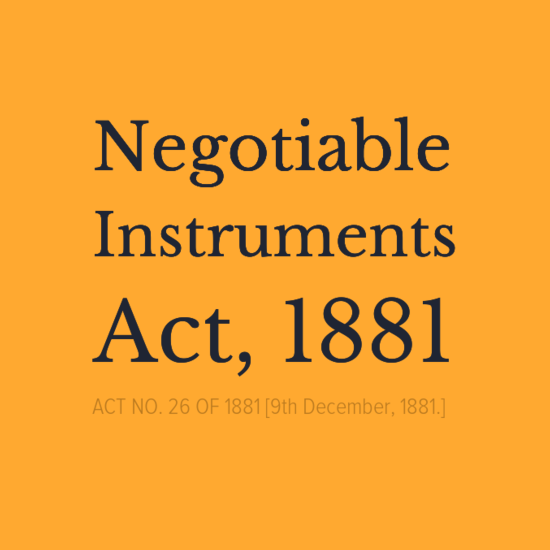 Negotiable Instruments Act, 1881 - Section 138 – Code of Criminal Procedure Svt. 1989 - Section 561A - Quashing of Complaint - theft of cheques - legal notice on 01.02.2017 demanding an amount of 8, 00,000 - no complaint was filed within stipulated time on said cause of action - cutting and changing the date of 01.02.2017 by 10.03.2017, sent the second notice containing the same contents and again made the same demand for payment of the alleged amount within fifteen days from the receipt of the notice - These are disputed questions of facts, cannot be decided in this petition - These are defenses which petitioner has to prove before court below during trial. 1. In this petition filed under Section 561-A of the Code of Criminal Procedure Svt. 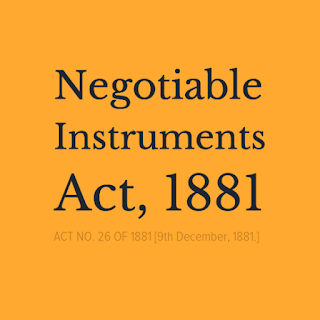 1989, the petitioner inter alia seeks quashing of complaint under Section 138 of Negotiable Instruments Act as well as order dated 18.04.2017 taking cognizance and issuance of process passed by the Special Mobile Magistrate, Passenger Tax, Jammu. 2. The facts giving rise to the filing of this petition briefly stated are that the petitioner while working as a Contractor (MATE) in the year 2015-16 in District Rajouri engaged the respondent to look after and maintain the record of the office, which was established at the residence of the petitioner in Ramkot. It is contended that in connection with his business, which in those days was in Rajouri, the petitioner mostly had to live out of his home. He whenever had to go out of his home, he used to keep some signed cheques in the drawer of the table of the office, so that if some payment was to be made in absence of the petitioner, the said signed cheques could be used. The keys of the drawer mostly remained with his wife. The respondent taking undue benefit of the absence of the petitioner and that of the simplicity of wife of the petitioner stole few signed cheques from the drawer of the office table of the petitioner and filled up the date and other contents as per his convenience. 3. It is further contended by the petitioner that he received a legal notice on 01.02.2017 from the respondent demanding an amount of 8,00,000/-. Thereafter, the petitioner contacted the respondent and expressed his anguish and dismay over his degraded act. Since the respondent had worked with the petitioner for some time, therefore, the petitioner expressed his willingness and readiness to finalize the account of respondent by paying him Rs. 50,000/- but he kept mum on this offer and sought some time for pondering upon the matter. The petitioner also reported the matter to the Police with regard to the theft of his cheques. Thereafter, the respondent again by cutting and changing the date of 01.02.2017 by 10.03.2017, sent the second notice containing the same contents and again made the same demand for payment of the alleged amount within fifteen days from the receipt of the notice. 4. It is case of the petitioner that since the respondent had already availed the cause of action by sending notice dated 01.02.2017, which was duly received by the petitioner and was also replied, therefore, sending of same notice by cutting/ changing the date and getting memos of bouncing from the Bank to avail the cause of action second time, is not permissible under law that the Court below while taking the cognizance of the matter on 18.04.2017 has not taken into account this aspect of the matter and passed the impugned order in haste and without application of mind. In the aforesaid factual background, the petitioner has approached this Court seeking the relief as stated above. 5. The respondent has not appeared despite service and was, accordingly, set ex parte vide order dated 04.07.2018. 6. Learned counsel for the petitioner has placed reliance on the judgments of the Supreme Court in the cases of Sadanandan Bhadran vs. Madhavan Sunil Kumar, (1998) AIR (SC) 3042; and Yogendra Partap Singh vs. Savitri Pandey and anr., 2015 AIR (SC) 157, wherein it is held that as per Section 2(d) of the Code defines 'complaint'. According to this definition, complaint means any allegation made orally or in writing to a Magistrate with a view to taking his action against a person who has committed an offence. Commission of an offence is a sine-qua-non for filing a complaint and for taking cognizance of such offence. A bare reading of the provision contained in clause (c) of the proviso makes it clear that no complaint can be filed for an offence under Section 138 of the NI Act unless the period of 15 days has elapsed. Any complaint before the expiry of 15 days from the date on which the notice has been served on the drawer/accused is no complaint at all in the eye of law. 7. I have considered the contentions of learned counsel for the petitioner. 8. First argument of counsel for petitioner is that a legal notice on 01.02.2017 from the respondent demanding an amount of 8, 00,000/- was given to him. Petitioner then met complainant and asked that he is ready to settle the claim for Rs.50,000/- ; but complainant did not respond; no complaint was filed within stipulated time on said cause of action. The petitioner also reported the matter to the Police with regard to the theft of his cheques. Thereafter, the respondent again by cutting and changing the date of 01.02.2017 by 10.03.2017, sent the second notice containing the same contents and again made the same demand for payment of the alleged amount within fifteen days from the receipt of the notice. 9. These are disputed questions of facts, cannot be decided in this petition. These are defenses which petitioner has to prove before court below during trial. 10. Next argument is that respondent had already availed the cause of action by sending notice dated 01.02.2017, which was duly received by the petitioner and was also replied; therefore, again sending of same notice by cutting/ changing the date and getting memos of bouncing from the Bank to avail the cause of action second time, is not permissible under law. That the Court below while taking the cognizance of the matter on 18.04.2017 has not taken into account this aspect of the matter and passed the impugned order in haste and without application of mind. Counsel for petitioner has relied upon 1998 (SCR ) 178 case titled Sadanandan v Madhavan Sunil Kumar; and 2015 AIR SC 157 case titled Yogendra Partap Singh v. Savitri Pandey, wherein it is held that no complaint is maintainable before the expiry of 15 days from the date on which the notice has been served on the drawer. 13. In this way, Sadanandan v Madhavan Sunil Kumar’s case (supra) is of no help to the petitioner. So far as second law cited in Yogendra Partap Singh’s case (supra) is concerned, it is also not applicable in present set of circumstances, because as per complaint, cheque was dishonored on 04.03.2017 and notice of demand has been issued on 16.3.2017, which is within time and complaint has been lodged on 18.4.2017. In view of above, this petition is dismissed. Stay, if any, is vacated.